When we last visited winemaker Antoine Favero at Mazzocco Sonoma, he made the gracious offer of taking us to visit a vineyard or two on our next visit. Not one to forget that kind of opportunity, I checked with Antoine as we planned our upcoming Dry Creek Valley trip. I almost expected him to be too busy, as he is not only winemaker for Mazzocco but also for Jaxon Keys and Soda Rock, as well as sharing winemaking duties with Diane Wilson at deLorimier. But Antoine was true to his word and suggested an excursion to Rockpile. I’ve loved wines from the Rockpile AVA for some time and have always considered it a very special place, but have never visited, until now. I was surprised to learn that this area only obtained its official AVA status in 2002, as it seems like I’ve been drinking Rockpile wines for longer than that. That being said, Karen and I hopped into the Wilson Artisan Wineries tour bus and, with Antoine at the wheel, we drove to the far western reaches of the Dry Creek Valley and into the Rockpile AVA. Our first stop was Florence Ranch. Antoine, who gets grapes from this vineyard, explained that Jack Florence Sr. was one of the growers who helped to spearhead the recognition of the Rockpile AVA. The AVA is over 15,000 acres, but less than 200 are planted. We then continued deep into the wilderness of Rockpile until we reached the Mazzocco Rockpile Ranch property, which is only 800 acres with 25 of them planted. Along the way, we marveled at how difficult it must be to just get the ripened grapes back to the winery, given the ruggedness of the terrain. 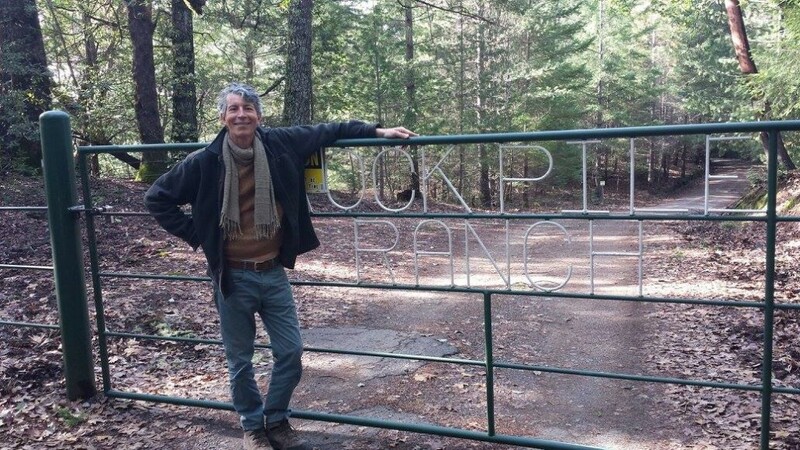 Finally arriving at Rockpile Ranch, Antoine needed to let us into the locked gateway to the property. When we got to the vineyard, it was easy to see why this vineyard was kept under lock and key. I love visiting vineyards – where the magic starts – but certain ones seem more magical that others. And this one definitely ranks very high on that list, capped off by Antoine opening a bottle of the 2014 Mazzocco Rockpile Zinfandel for us to enjoy at the vineyard from which it came. Perfection! Alas, while we have the hard job of writing about wine, Antoine has the much harder job of actually making the stuff. And he had to get back to work! So, he drove us back to the winery and left us in the hands of the very capable, knowledgeable and hospitable Mazzocco tasting room staff. I can’t thank Antoine enough for taking the time to play tour guide for us. While that kind of experience might not happen often, anyone can [and should] visit Mazzocco and experience their wonderful wines. Definitely a must-visit for any wine lover, especially Zin fans. See photos of our visit with Antoine and others from our trip here: Sonoma County Series.